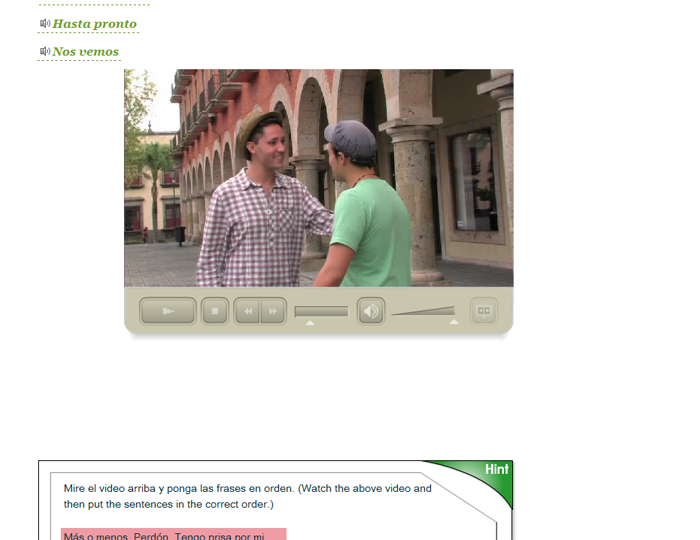 Sample OLI’s Spanish I course in a media-rich and interactive environment, driven by video that was shot on-site in Guadalajara, Mexico. The lesson contains short video components to contextualize the material. Segments of the video are then replayed in a variety of interactive activities and tutors. All videos were filmed in Mexico, incorporating authentic speech, cultural references, and gestures. The beginning of the lesson is a set sequence, from recognition of language, through explicit learning of grammar and pronunciation, to written and spoken production. After this ordered beginning, many activities are offered to the student in which the language learned is used in understanding new texts, sounds or videos, or in creative production. Lesson tests and exams are available only to academic course-key students enrolled in instructor-led courses.